The Terminus step in PlayMaker helps you add an account to a Terminus Tactic within a Campaign. 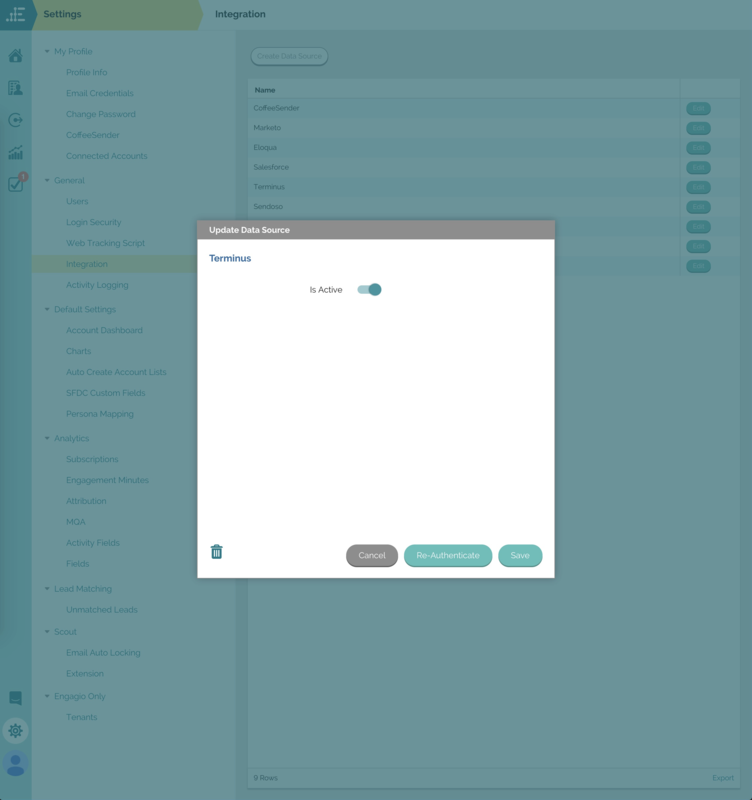 Important Note: The Engagio / Terminus integration is a feature that needs to be turned-on for customers by their Terminus customer success managers. To start using it, the first step is to work with your Terminus customer success manager and enable the integration in your Terminus platform. They will then need to create an Engagio Tactic and make sure its enabled before you can see it in Engagio. Terminus is a tenant-level integration which an admin will need to set-up. Click on the "Create Data Source" button and select Terminus. You will be redirected to log-into your Terminus admin account. This step's purpose is to attach an account to a Tactic and add to a campaign. 2. Select an Tactic from the dropdown. 3. An Approver is optional.